Writers often wonder what idea they should choose to develop their next script. What idea will actually lay the foundation for an amazing story? What idea will be best for your career? What is the best idea out of all their ideas, which all seem to have equal appeal? Which one should I write?! Much of this can really freak a writer out. Writers want to write scripts that get produced and they do not want to work on a script that won’t make it across the finish line. But is the idea that important? Some writers get caught up in how developed an idea really is. Is this actually an idea for a movie, or am I inspired to write something, but don’t know what the story is? Is it simply a flicker of inspiration, something that made an emotional mark on you, a memory, a moment? Maybe it’s a whole story you see in your head instantly. Perhaps you’ve started a pitch for the elevator. None of this matters. You can start writing from any of these places. Do not think you should have an idea developed to a certain stage before you start writing. You can start writing at any time. You can write a whole world off of one slight small thing, as long as it takes your attention and sets you off. Some people have so many ideas that fascinate them they have no idea what to write. They feel completely stuck, staring at several different ideas, wondering what would be best for them. They might feel a bit crazy and wonder if they are normal or professional or doomed to failure. Celebrate how many ideas you have. I have too many ideas for my lifetime. I don’t get upset any more, knowing I will never write them all. Be grateful for your imagination. You’re going to need it when you start writing your script. Some people will advise you not to tell other people your ideas. They say it will hurt the idea, that the input from others will kill your momentum and discourage you. Don’t worry about this too much. It’s good to run your ideas by others. Sometimes it’s important to see if others react to the idea in the way that you do. It’s helpful to know if they are confused by the idea, or don’t think its interesting. Be careful though. You should be careful telling people your ideas. Sometimes I tell a lot of people my ideas because it makes me feel like a writer when I’m not actually writing, I’m simply telling people my ideas to get a reaction from them. I might take a fantastic idea that everyone loves but I tell so many people and I get so excited from the reaction that I never actually write it! Don’t use your great ideas to feel good about yourself. Don’t take every reaction so seriously. If people yawn or change the subject, they might be tired. Write it anyway. Overall, don’t tell people your ideas but definitely sometimes yes. If you’re really working yourself into a panic attack over which one of your ideas is the best idea for a screenplay, choose the one that you feel will make you most uncomfortable. The one you feel the most embarrassed to write. Why is this? Sounds like some arty indy crap, right? No. When you write the idea that makes you the most uncomfortable, you’re writing the one with the best capacity for truth. Being honest is a vulnerable position and it can be very painful. But authentic stories are the most successful and reach the most audiences, as they see themselves in the story and characters in an everlasting way. In a very practical sense, your most challenging, weird, private ideas will be the most commercially successful ones. This is the most important thing to remember. It doesn’t really matter what idea you pick, because your writing will make the story a classic. Each idea I’ve used to make a movie that would be eventually seen by an audience wasn’t a standout idea. It was an idea I loved that inspired me, like all the others I have on my list. But my writing took the idea to the audience. I remind myself this often, when I’m agonizing over what I should work on. It doesn’t matter what you pick, it matters in how you believe in yourself. The ideas are all good and all the same. The belief that you can take any one idea and write the masterpiece is what is important. I believe I can take any idea and make a great script. So why fight over what idea is the right one? The fight is over you. 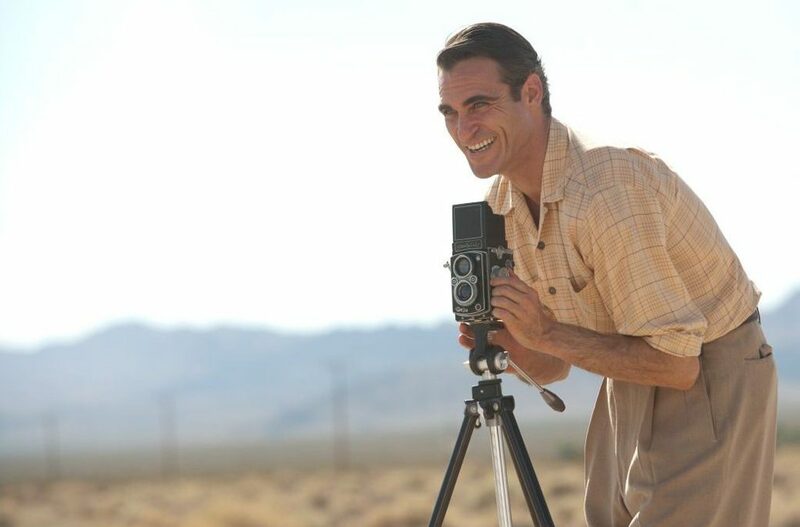 My reason for stopping by and reading the whole piece is the joaquin phoenix still from The Master. It’s one film that should be unarguably admired by everyone but that can’t be the case and because of the fact that it’s rarely admired yet you put it in a post about screenwriting, made it too special. Can I submit my script today? I just came across your post now and I really want to participate in this.